2014 marks the centenary of the outbreak of the First World War, as well as 75 years since the start of the Second World War, so our scanning volunteer Stan’s choice of images from the collection this week are certainly topical! This fascinating series of photographs show the capture of the crew of a German Heinkel III bomber 74 years ago in Amble, Northumberland, on 15th August 1940. The aircraft was shot down over Druridge Bay and the airmen picked up by a Fisheries Protection vessel. 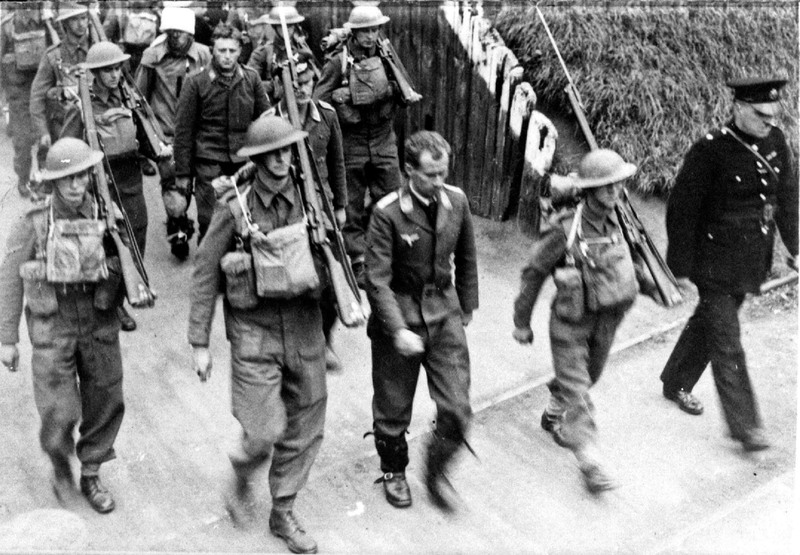 The pictures were taken as the crew were escorted through the streets of Amble by the Police and soldiers from the Royal Welsh Fusiliers. Given how restricted photography was during the war, particularly of subjects directly associated with the war, the existence of these images is quite remarkable. 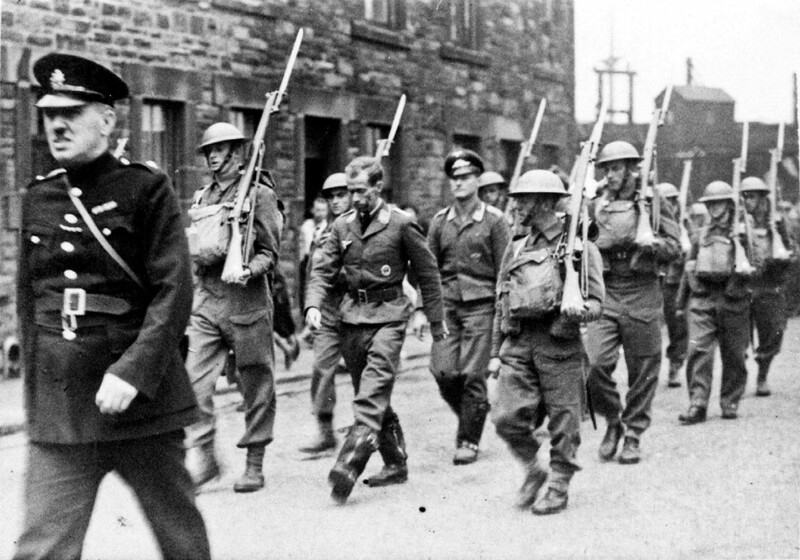 70104 – The crew of the Heinkel are escorted through Amble. On the left is Inspector Dodds of the Police and Zimmerman, the German officer, is wearing a cap in the centre of the group. The aircrew were carrying a good deal of Norwegian money as they had flown from an airbase at Stavanger in Norway. 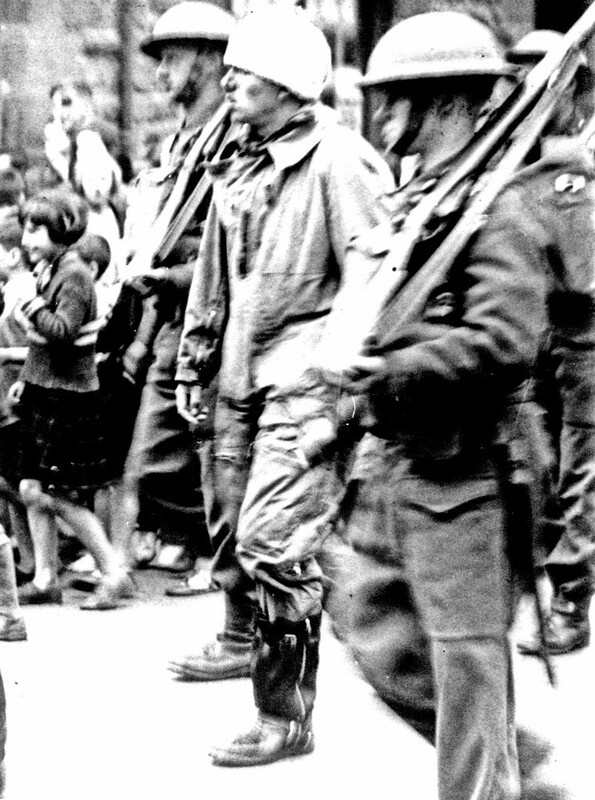 70103 – Another view of the captured German aircrew being marched through Amble. 70102 – One of the crew members, Henrichsen, was wounded as the plane was forced down. This entry was posted in Adventures in Collecting on September 25, 2014 by BeamishMuseum.